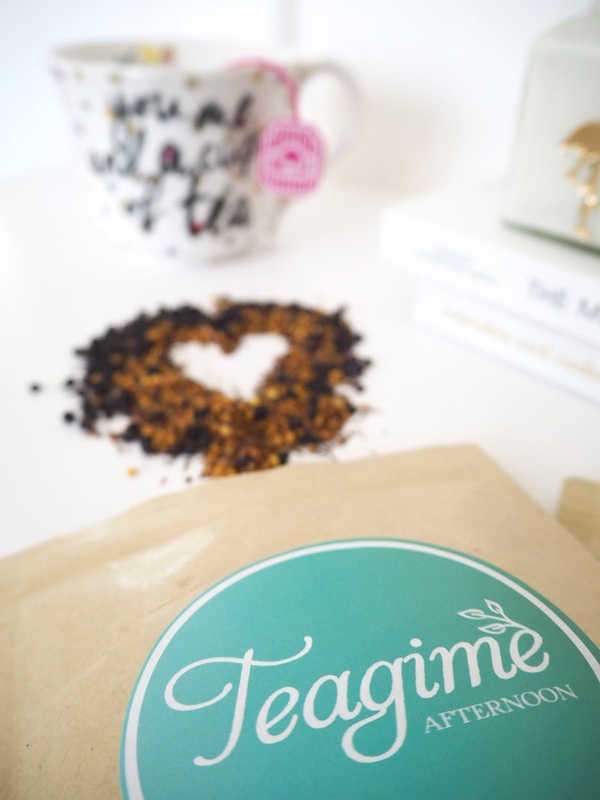 Recently I've been trying out a range of fresh, hand-blended herbal teas by a company called Teagime! * When you sign up for your first box you receive 14 days worth of teas, one morning blend, an afternoon blend and an evening blend. 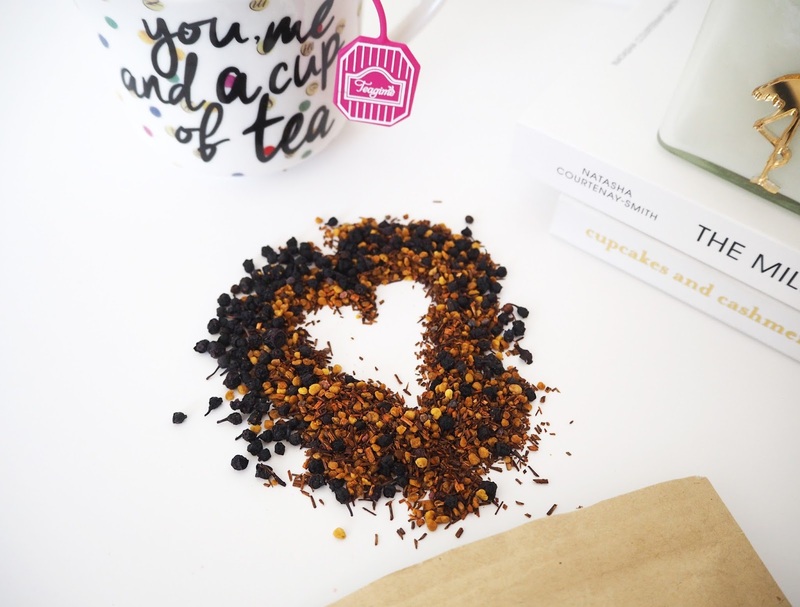 On top of all this, your first order includes a free loose-leaf tea infuser, which looks so cute I must add! Steeping draws all of the rich flavours and aromas so that you can get the most out of your teatox. The best thing about it, in my opinion, is that it's not simply a one size fits all program! 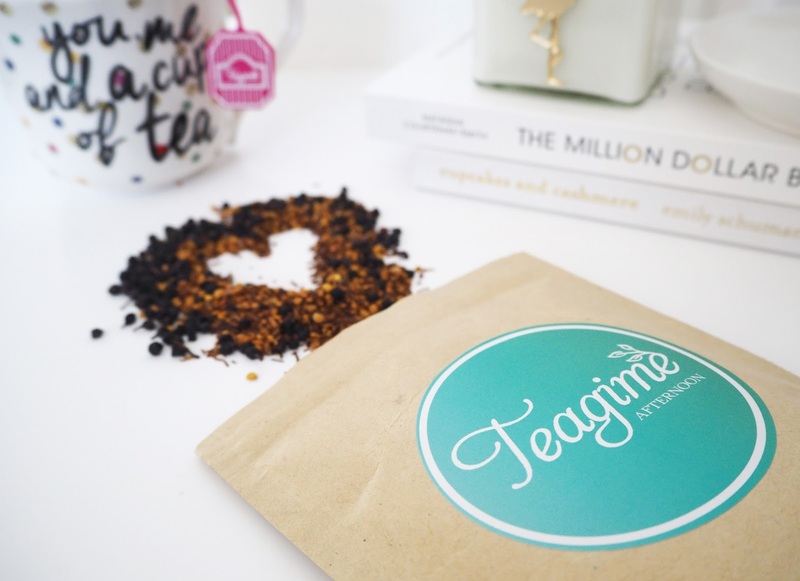 Teagime create a bespoke tea regime to suit your preferences & health goals to help with a healthy lifestyle and is the only fully personalised Teatox programme in the UK! You fill out a short online questionnaire when you first sign up outlining your flavour preferences (e.g. fruit, floral, spice, mint or herbal), caffeine requirements, skin issues and menstrual cycling as well as any current health issues and your health goals. Teagime will then use this information to custom-blend herbs and other ingredients specific to your needs. That means each cup of teatox you drink is optimized for your particular health and energy needs! As some of you already know I've been going through some fairly heavy medical treatment lately for my long term health condition. I have many different symptoms and issues to deal with but I was mainly looking for something that could help give me a bit more energy in the mornings and help me wind down and sleep at night. I take more than enough medication as it is so I really wanted to find something natural and this seemed like the perfect fit! Their herbal blends fine-tuned to support health throughout the seasons. Focusing on herbs that boost the immunes system during the flu season, and warming herbs are included during the colder months to combat seasonal blues. If you scroll down through the pictures you'll see I've told you which herbs and ingredients were included in each of my teas. My favourite has been the Morning Blend I think, there is something lovely about have a cup of tea in the morning to help set you up for the day! I've been drinking this even before I have my breakfast in the mornings and I have definitely found over time it has given me an energy boost and made me feel more awake. 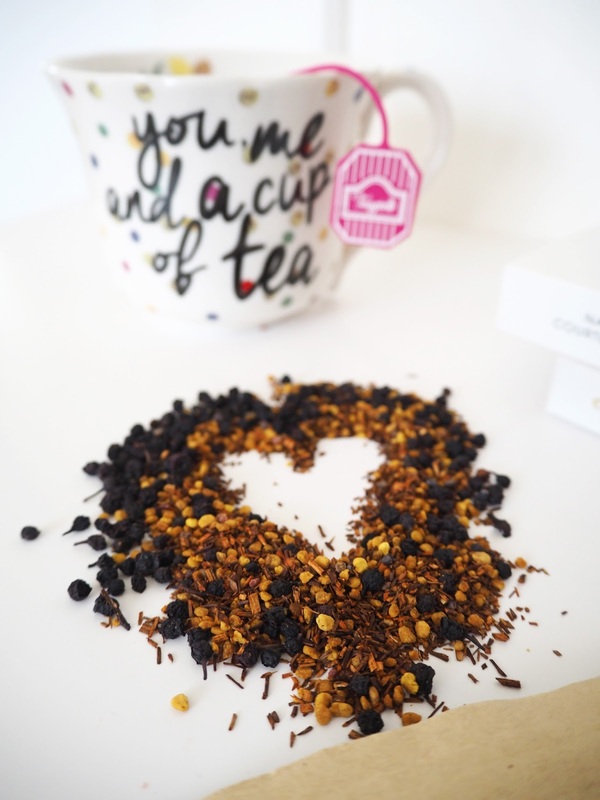 All herbs have different benefits and I was intrigued to find that my Afternoon Tea contained bee pollen as I've heard that it's a great natural energy booster but apparently it also reduces sugar cravings - it tastes really good as well! 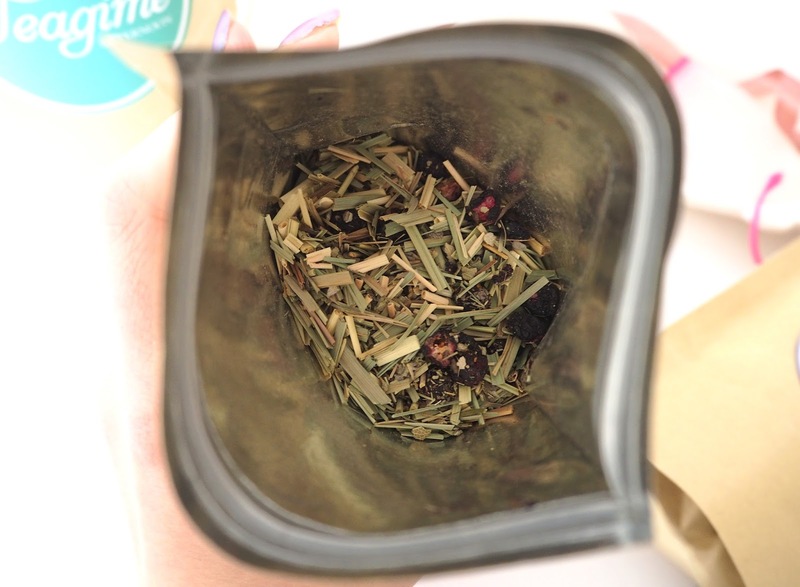 In the past I've found herbals teas can be a bit hit-or-miss with me when it comes to flavour! More often than not I find they smell amazing but don't taste very nice. However all of these I've found absolutely delicious, I think it's probably because they're all naturally flavoured! The Evening Blend is possibly my favourite flavour wise as it contains Passion Flower & Lemon Balm which taste beautiful together and is a really calming way to end my day. Caffeine really aggravates some of my symptoms so I try to avoid it whenever possible and luckily I was able to request caffeine free teas in my questionnaire on sign up! Something else worth noting is that there are no unhealthy and painful 'colon-cleansing' effects so all their teas are carefully blended to be gentle enough for long-term-use. I hadn't really thought about this before I read it but this is definitely a plus point! Teagime believe in using 100% natural ingredients with no flavourings or laxatives allowing you to focus on being healthy. 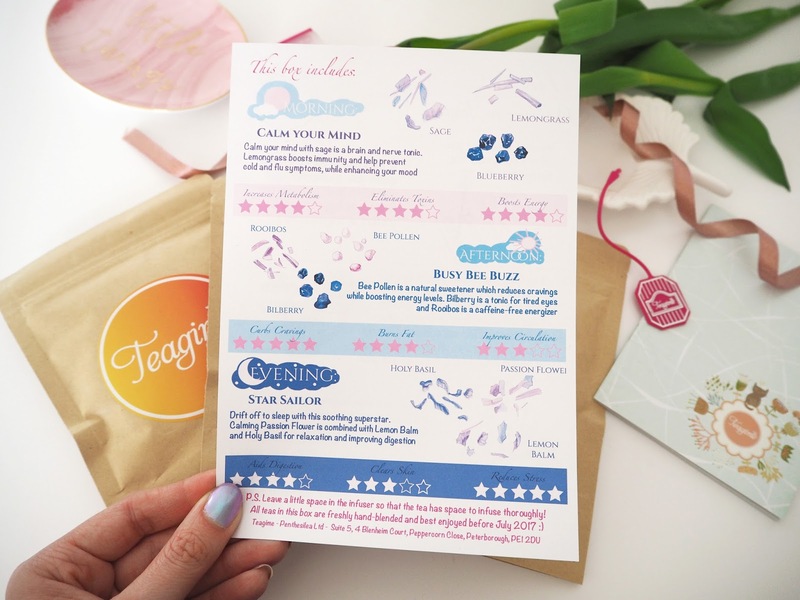 I have a special code for all my lovely readers which will give you £10 off when you order your first personalised box of tea! You'll get 14 days worth of tea, morning afternoon & evening blends for just £19.99 (instead of £29.99) plus postage is free within the UK. I think it's a perfect thing to invest in if you haven't been in the best of health lately and you want something natural to give you a little boost and help support your immune system. Or perhaps you have an event coming up such as a wedding or holiday and you want to loose a few pounds and have clearer skin. This is a great way of supporting that without having to do anything particularly drastic, expensive or time consuming! 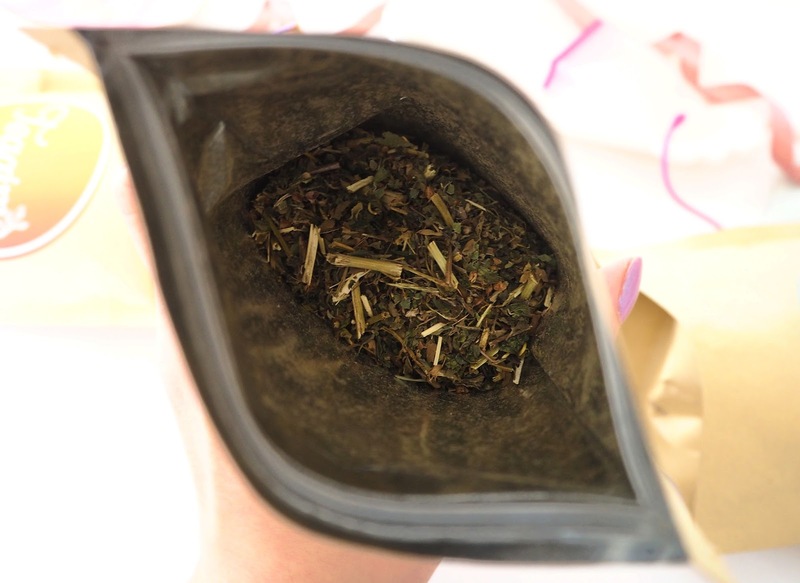 Obviously you will most likely receive teas with a different blends of ingredients & herbs to me depending on how you fill out your questionnaire but I think that adds to the excitement! If you do sign up please let me know what you get and I'd love to hear how you get on. Morning Blend: Calm Your Mind | Calm your mind with sage, a brain and nerve tonic. Lemongrass boosts immunity an help prevent cold and flu symptoms, while enhancing your mood. 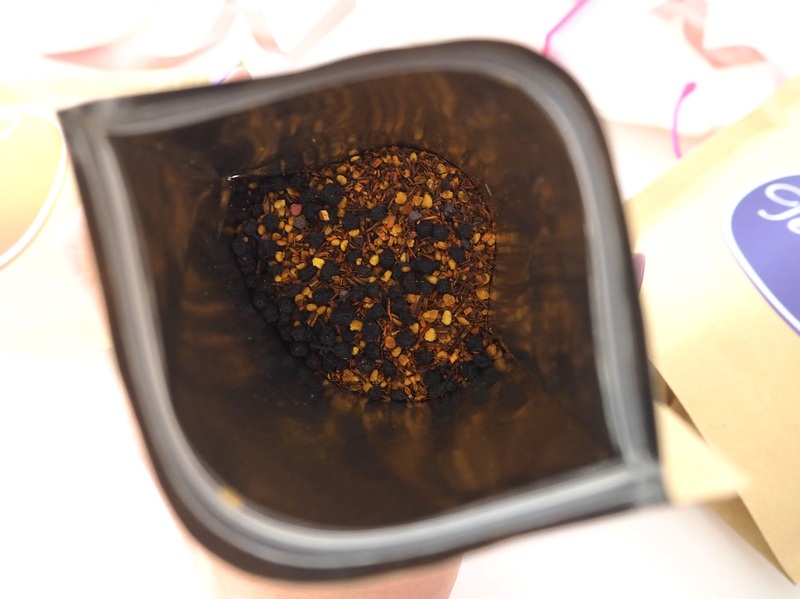 Afternoon Blend: Busy Bee Buzz | Bee Pollen is a natural sweetener which reduces cravings while boosting energy levels. Bilberry is a tonic for tired eyes and Rooibos is a caffeine-free energizer. Evening Blend: Star Sailor | Drift off to sleep with this soothing superstar. Calming Pasion Flower is combined with Lemon Balm and Holy Basil for relaxation and improving digestion. Follow Teagime on Facebook, Twitter & Instagram to keep up with all their latest news and information! 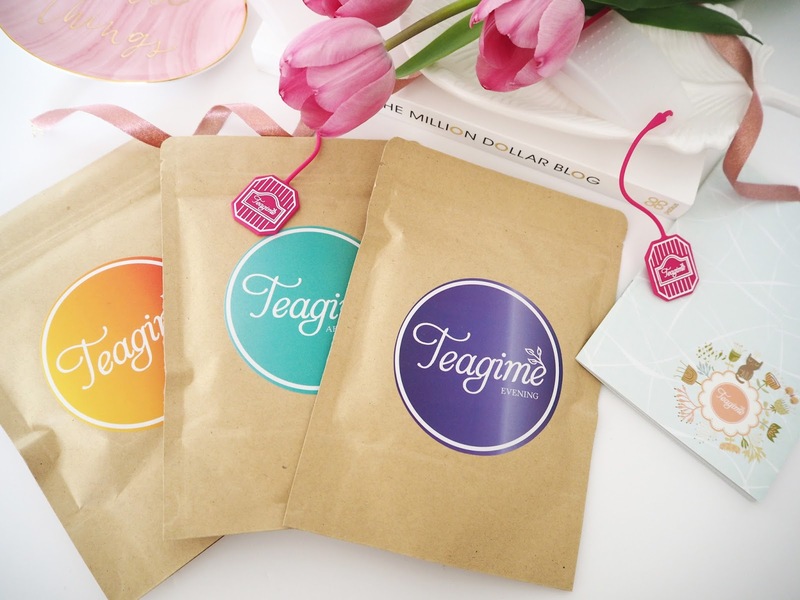 Would you like to try Teagime Tea's?